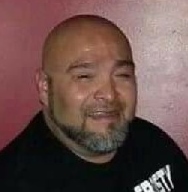 Obituary for Juan Diego Facundo | Schaffer Funeral Home, Inc.
Juan Diego Facundo, 47, of Defiance, passed away surrounded by his loving family on Tuesday, January 29, 2019 at his residence in Defiance. Juan was born on December 24, 1971 to Faustino G. and Virginia (Longoria) Facundo in Bay City, Michigan. He married Ruby Facundo-Belaire in August, 1993. Juan had a big, golden heart, and surrounded his life around his children. He loved his grandkids, fishing, and camping. Juan is survived by his mother, Virginia Facundo of Defiance, grandmother, Eloisa G. Facundo of Bay City, MI, former wife, Ruby Facundo-Belaire of Defiance, three sons; Mario A. Ramirez of Deshler, Juan Moses Abram Facundo of Bay City,MI, and Sirildo A. Facundo of Defiance, three daughters; Samantha (Craig) Wagenhauser of Deshler, Sondra Facundo of Bay City, MI, and Dezarai Facundo of Deshler, three grandsons, four granddaughters, three brothers; Faustino Facundo Jr. of Defiance, Javier Felipe Facundo of Napoleon, and Jose (Kathy) Mancera of Defiance, two sisters; Connie Facundo of Bradenton, FL, and Juanita Mancera of Defiance, a very special friend, Katherine Lechuga of Defiance, and Russell Salazar Perez of Napoleon, who Juan loved as his son. He was preceded in death by his father, Faustino G. Facundo, and grandfather, Sirildo R. Facundo. Visitation will be held from 11:00 am to 1:00 pm on Saturday, February 2, 2019 at Schaffer Funeral Home in Defiance. A Memorial Service will follow at 1:00 pm at Schaffer Funeral Home, with Pastor Eliazar Reyes officiating.